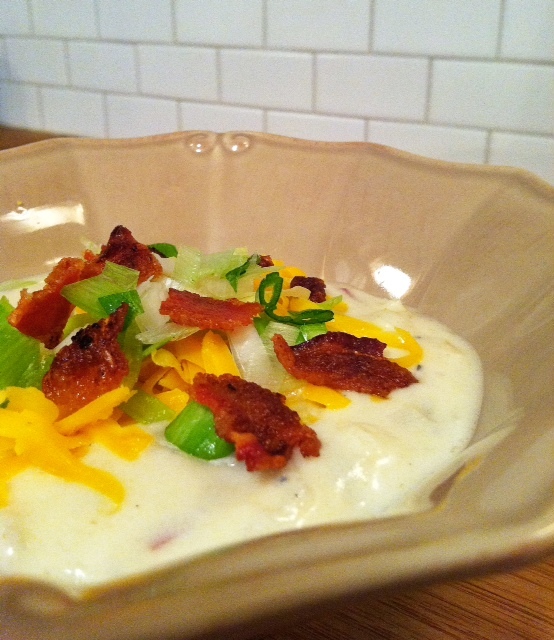 Loaded Potato Soup but Lighter! Since it is getting dark so early now and consequently colder, I have really been in the mood for soups and stews. I like to have a big pot of something on the stove as often as possible. I have always been a fan of potato soup but not a fan of the butter and cream it took to make it. This is a lighter version of the old classic, made with 1% milk. 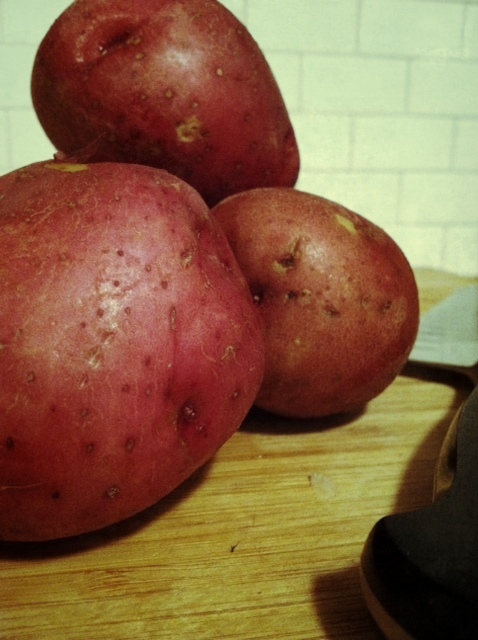 I use roasted potatoes, which is different but I think they have more flavor than boiled potatoes. The flour being shaken with the milk and then being boiled helps thicken the soup. 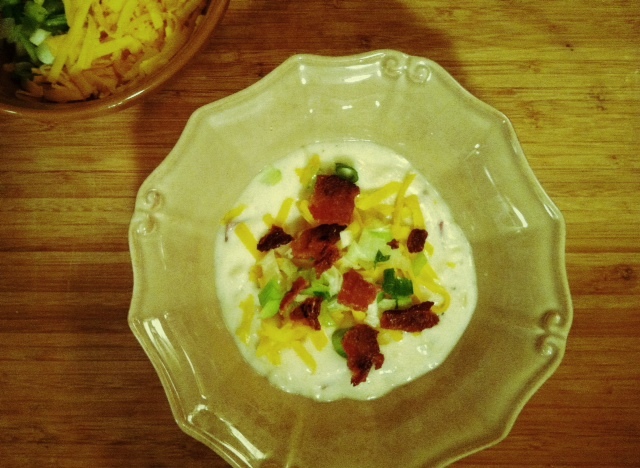 Cheese, bacon and green onions help keep the soup tasting indulgent. Heat oven to 425 degrees. Cut potatoes in 1/2 inch cubes. (I left the skin on) In a bowl toss potatoes with 2 tablespoons olive oil, 1/2 teaspoon salt and 10 twists of pepper. 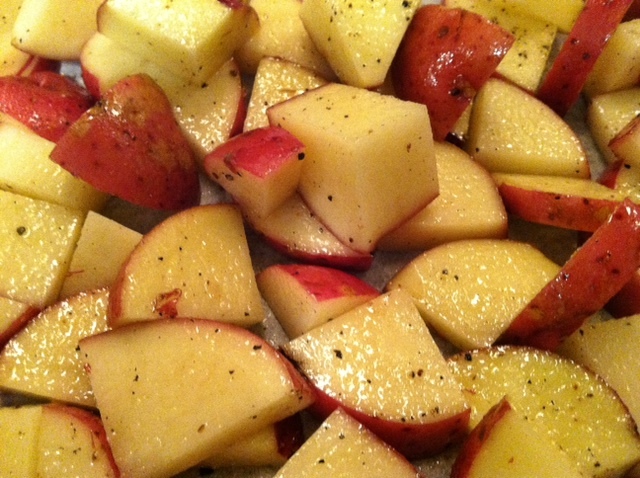 On a parchment lined baking sheet, cook for 30-35 minutes or until potatoes are tender. Remove from oven and mash cooked potatoes with potato masher. When potatoes are halfway done cooking, heat the two teaspoons of oil in a saucepan over medium-high heat. Add onion; saute 3-5 minutes or until lightly browned. Add broth, Worcestershire, hot sauce, 1/2 teaspoon salt and 10 twists of pepper . 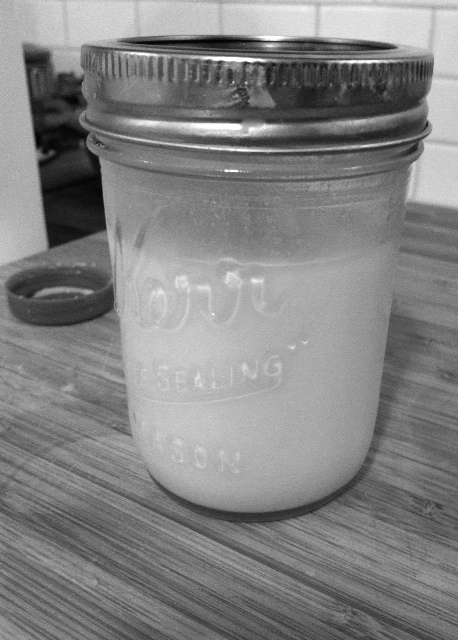 Combine flour and 1/2 cup milk and shake in a mason jar, add to pan with remaining 1 1/2 cups milk. Bring to a boil and stir constantly. Cook 1 minute. Soup will have thickened. Stir in potato mash. Remove from heat and mix in sour cream. Season with salt and pepper. Stir potatoes into soup. Top with cheese, green onions, and crumbled bacon. Add more hot sauce, if you like! This is delicious and easy. Everyone enjoyed it.